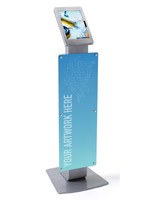 Looking for a way to create an interactive station at your retail store or at the next trade show? Microsoft Surface tablet stands & enclosures are a sleek and modern solution to keeping your device secure while engaging with customers. 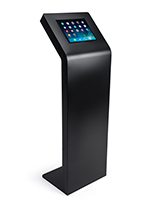 These freestanding kiosks have a locking frame, giving users peace of mind that their devices won’t get tampered with while in the hands of others. 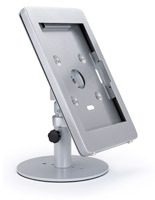 Microsoft surface tablet stands & enclosures are great to use as a POS system in restaurants and retail stores. 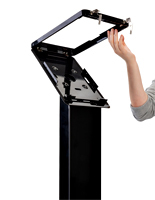 Show product demonstrations and videos using this device holder at trade shows and expo events too. Browse our Surface Pro 3 & 4 stands and enclosures in a variety of styles to find one best suited for your needs. What types of device holders can I purchase for my business? 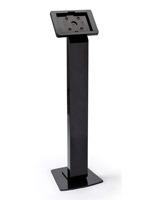 Floor standing Microsoft Surface tablet stands & enclosures are available in a variety of sleek and modern styles. 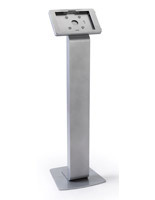 Choose from adjustable and stationary models in black and silver as well as freestanding holders with banners that can be custom printed with the graphics of your choice. 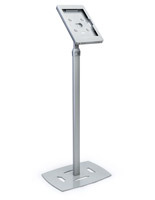 Find these locking floor standing device holders at trade shows, expo events, and store settings. Tabletop models come in black and silver options to complement any setting. These have a locking mechanism to keep your device safe from tampering. 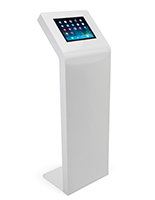 Our desktop displays are convenient to use for POS systems in restaurants and retail stores because of their small size. 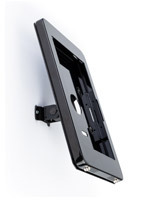 Wall mount styles have a secure design to keep your device safe and are available in silver and gray finishes that complement any location’s décor. 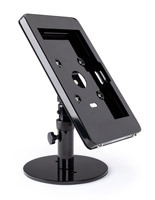 These models come with all the necessary hardware for mounting and it couldn’t be easier to showcase your tablet safely. Whether you’re looking for freestanding, desktop, or mountable device holders, we have a model that’s best suited for your needs. 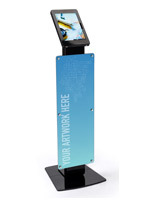 Customize the front panel of your floor standing holder with personalized images or graphics that serve as an additional branding opportunity for your business. 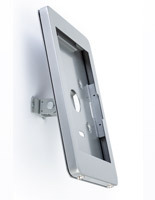 We know how important it is to find an enclosure that securely showcases your tablet. These devices are being incorporated in businesses and trade shows, but they’re also finding a place in in restaurants and homes. That’s why it’s so important to find the perfect model for its application. Looking for other types of device holders? 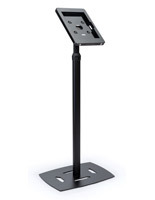 iPad Pro floor stands, and tabletop models are available on our site as well. Here at Displays2go, we take pride in having a variety of options to securely display and use your tablets in any setting. Shop online to take advantage of quick shipping and low prices.